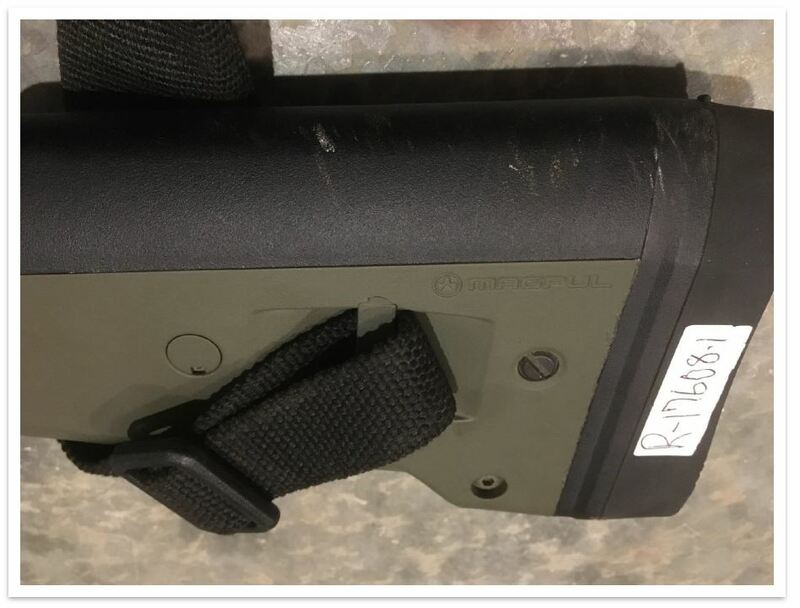 Brownell's Aluma-Hyde II is a fairly standard spray paint with one uniquely gun-friendly bonus - it's more resistant to harsh gun solvents than most rattle can paints. With respect to scratches and dings, there is nothing magic happening with Aluma-Hyde II - it is an air-cure epoxy-based paint, the most durable type of (readily available) rattle-can paint, but Aluma-Hyde II is no more durable than the toughest rattle-can paint at the hardware store. 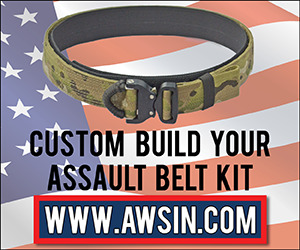 The real benefits of Aluma-Hyde II are the aforementioned better-than-average solvent resistance and an assortment of colors formulated to closely match existing firearm finishes, such as Magpul OD Green or stainless steel. Whether or not those traits are worth Aluma-Hyde II's premium price and shipping wait time is up to you. We've used several colors of Aluma-Hyde II over the years, but for this article we'll focus on OD green (the color we had on-hand). Aluma-Hyde II is about as good as it gets for rattle-can paints, but it still falls far short of the durability expected from professional finishes like Cerakote, Gunkote, Duracoat, and similar products. If you're spraying it out of a rattle can, it's going to chip and flake at some point in the near future, and that's just life. The one exception to this (maybe) is Duracoat’s can-within-a-can, two-part epoxy spray paint, but that’s about $50 per can and thus not really in the same class as Aluma-Hyde II. All that said, we at GunTweaks have long been perplexed by the gun community's fetish for ultra-durable finishes. A gun without nicks and gouges is usually a gun that hasn't been shot much, and a gun that hasn't been shot much is a sad, sad thing to be. So, we're just fine with rattle-can paint like Aluma-Hyde II and use it (and similar, cheaper paints) often to update our weapons to match the coloration of the season or geography. 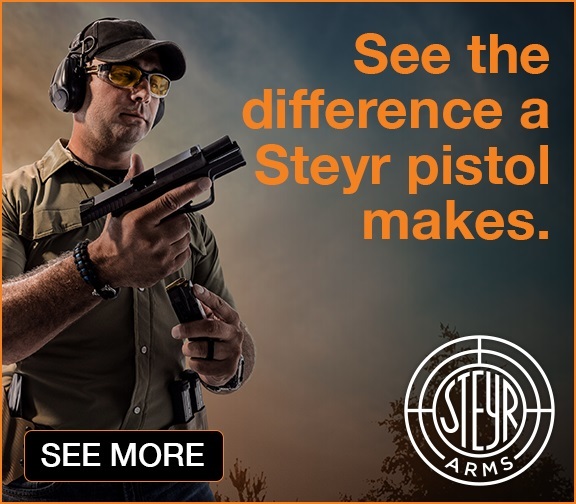 The one exception to this rule is handguns, which are in constant contact with clothing, holsters, and/or skin, where cheap finishes can stain or smear. 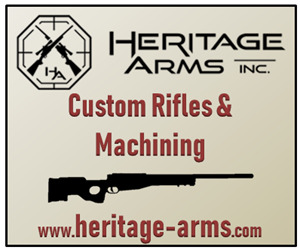 Opt for professional finishes on handguns, and leave paint for long guns. 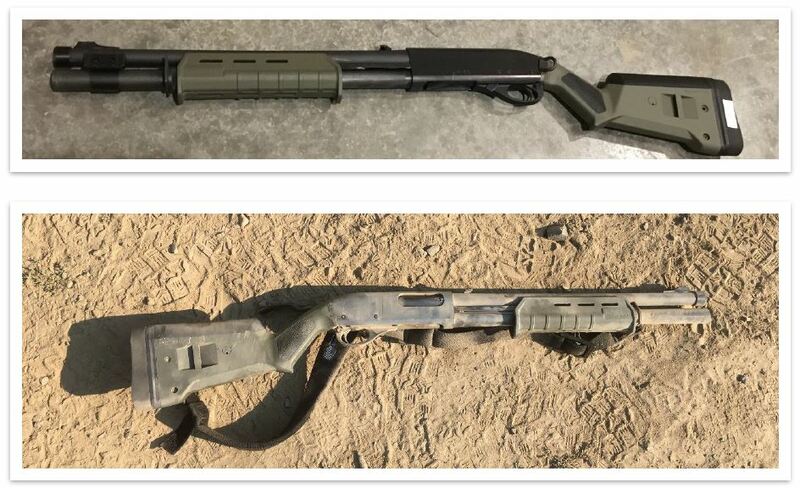 We painted a Magpul SGA handguard and buttstock for a Remington 870 pump-action shotgun, with both pieces being injection-molded synthetic (plastic). For both pieces, we scrubbed the surface with soap and water, followed by an acetone bath. 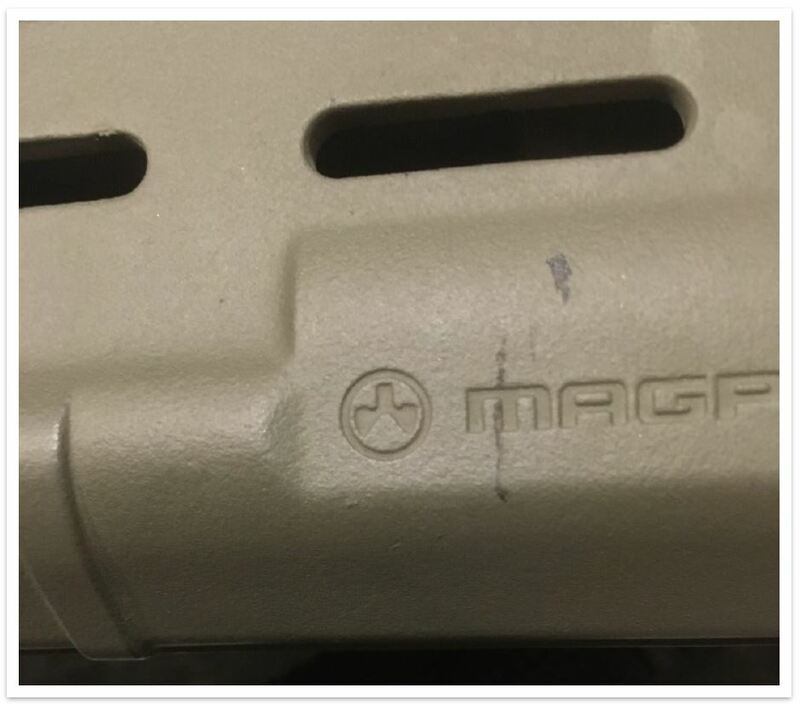 The Magpul furniture is textured over its the entire surface from the factory, so we did not perform any addition surface prep under the assumption that the “grippy” surface would hold paint well. The instructions for Aluma-Hyde II recommend warming both the object being painted as well as the paint can, but we did not perform these steps for the 870 furniture. At this point, we should note that 90% of painting is surface prep, and we didn’t roughen the surface with sandpaper, pre-warm the ingredients, or flame-treat the plastic to remove casting lubricants, so bear in mind that our test results reflect the durability of Aluma-Hyde II applied following a basic surface prep, not the ideal surface prep. That said, Aluma-Hyde II is a DIY product, and we did a DIY level of surface prep: the odds are good that most buyers will do the same, and will get a finish of a similar durability. 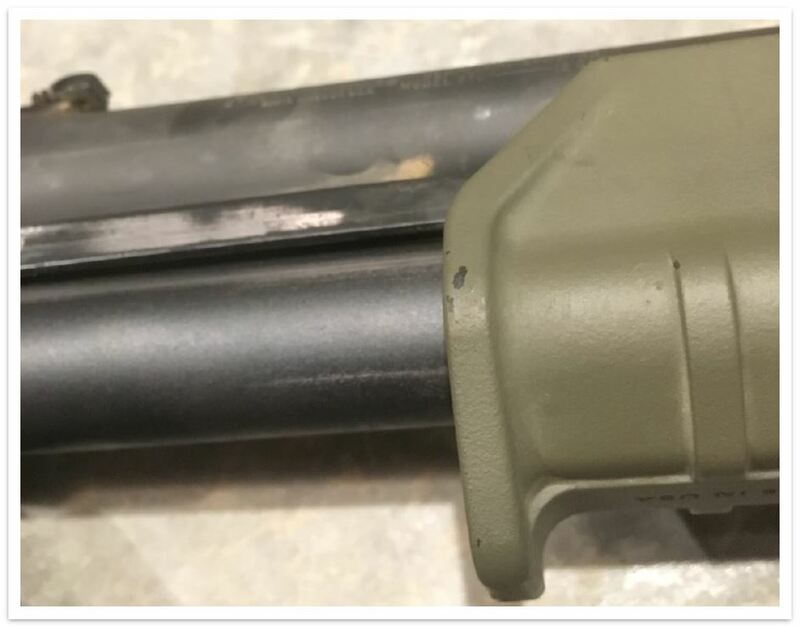 Additionally, we did pre-heat the can and the object being painted for another job, using the same paint on the stock (also plastic) for a Howa 1500. 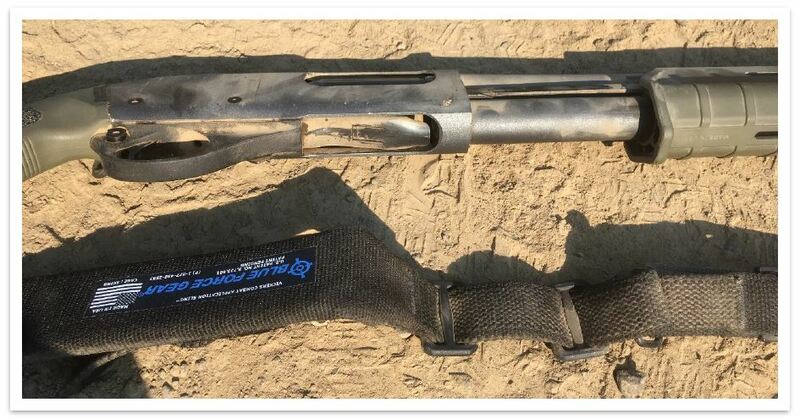 We didn’t repeat the testing on the Howa, but using the rifle in the field revealed that the finish’s durability was pretty similar to the finish on the 870 (applied without pre-heating the can or parts), and so we did not find that these additional steps made enough difference to be worth the trouble. Painting the 870 was done on a ~80˚ F day, with low humidity (it’s pretty dry during summer on the Palouse). Three coats were applied, with ~10 minutes between coats. Finally, the paint was left to cure, untouched, for a full month before testing. This step is critical with epoxy-based paints – they are dry to the touch within a day, but they take weeks to fully cure and harden. If you sniff the part and it still smells “paintey”, then it’s still curing and you should leave it be. The front sight lost its fiber optic rod almost immediately. An actual rock inside the 870’s receiver. For grins, we didn’t shake it out and instead loaded up the magazine tube and fired. 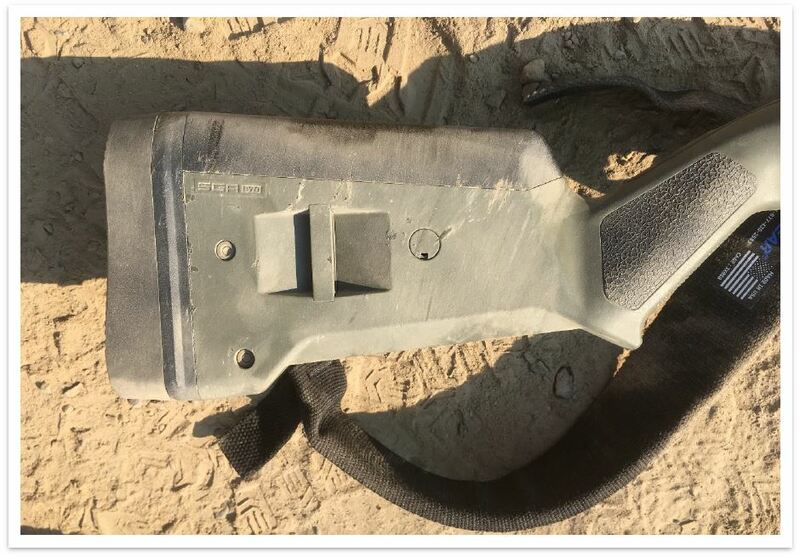 After being washed down, you can now see a few small dings on the rear of the handguard. 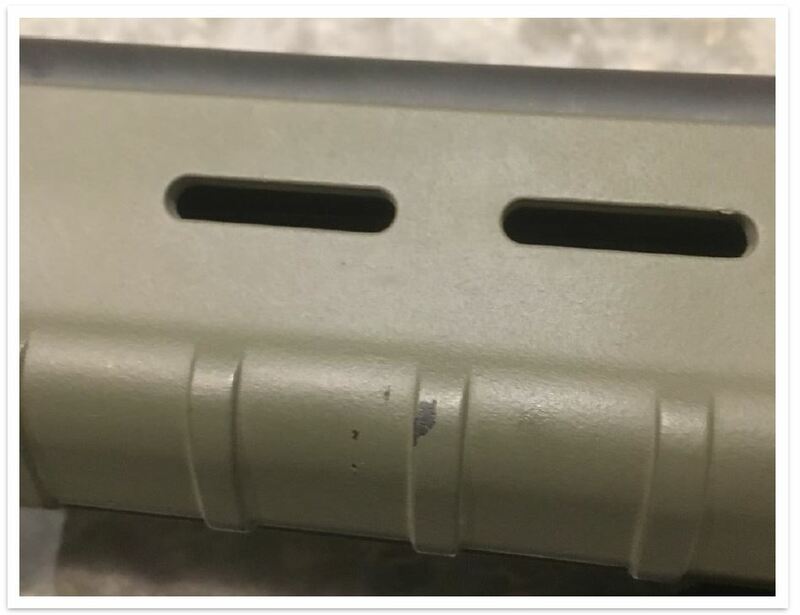 Some scratches toward the front of the handguard. A few more nicks and scrapes. The area around the sling mount got beat up pretty good. A sense of what the scratches and scrapes look like on unpainted black plastic. Aluma-Hyde II is one of the more expensive rattle-can paints you can buy. After you throw in the pricey shipping associated with pressurized goods, it’s double or even triple the price of similar paints found at a nearby hardware store. However, it’s as tough as it gets for rattle can paints (though not any tougher than really good hardware store epoxy paints), it’s got a range of gun-friendly colors, and it’s unusually stout when faced with harsh gun solvents. Finally, even though it’s pricey, it’s still much cheaper than professional finishes such as Duracoat, Cerakote, or Gunkote, and easier to apply. We probably wouldn’t place an order specifically for Aluma-Hyde II, since the shipping alone is about the same cost as one full can, but we’ll sometimes add a can or two to an existing order. It’s not a magical product – it will chip and flake just like any other rattle-can paint. But as long as you know what you’re getting (and what you’re not getting), it’s usually money well spent.